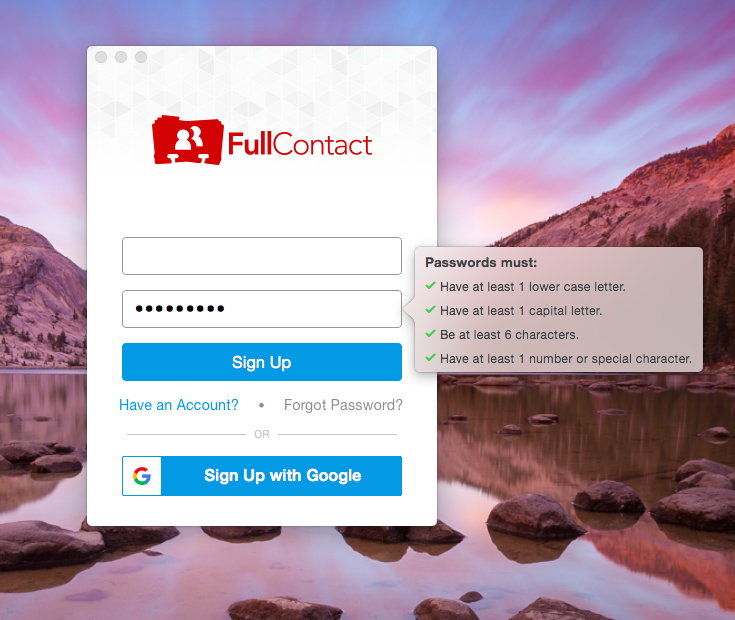 FullContact is a powerful contact management tool that helps you stay fully connected with your contacts. As a centralized database, FullContact syncs together all of your address books, merges duplicates, and adds more complete and enriched contact information from the web. 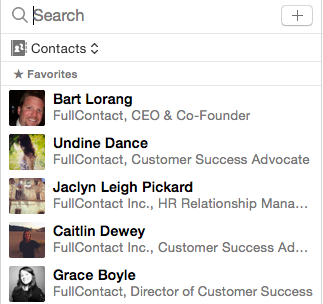 FullContact lets you keep all your contacts synchronized and up-to-date on your phone, desktop, and even in your Gmail. Download our apps and you’ll be able to access your contacts everywhere you need them. This guide serves as a resource for getting started with our Mac App. We outline the first things to do as a new user, best practice actions to take, and how to become a power user. Welcome aboard! Before you dive into this guide, download and watch our Getting Started webinar. You'll hear from one of our Customer Success Advocates and learn new tips and tricks. Prepare to become a FullContact power user! Knowledge Base: Our Knowledge Base is a good place to find all FullContact help articles and how-to guidance. Contact Us: If you have any further questions, don’t hesitate to contact our FullContact Support team. We are here to help. Contact us here. Blog: Interested in the latest things on customer intelligence, contact management, and FullContact news? Subscribe to our blog to stay in the loop. To set yourself up for success, we'll walk you through the first crucial steps in setting up your FullContact account. We recommend keeping your Mac's software up-to-date. Click Create Account in the lower left-hand corner. If you have a Gmail account, feel free to use the Sign Up With Google option. Bookmark app.fullcontact.com for easy access to your FullContact for Web app. Choose your primary Google Contacts, iCloud, or Exchange address book. Connect your Twitter or Foursquare account. 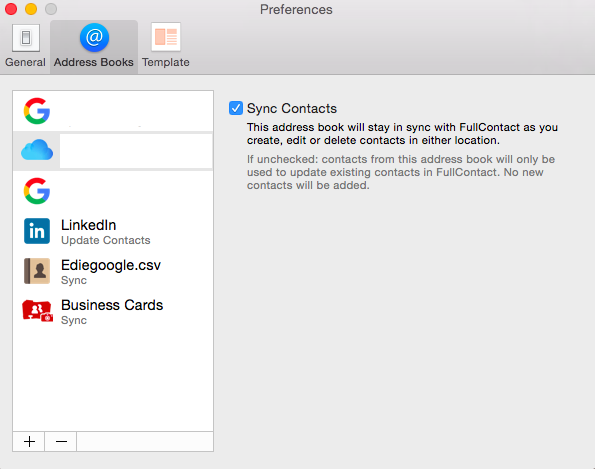 To note, if you are connecting your Google Contacts, make sure all of the contacts you want syncing with FullContact exist in your My Contacts instead of your Other Contacts in Google - if you need to move contacts from your Other Contacts to your My Contacts, now is a great time to do so. Keep in mind, we only sync contacts that are in My Contacts. 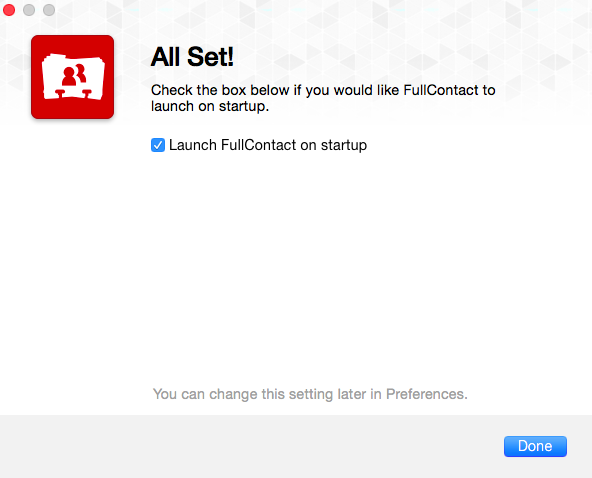 Decide whether your not you want the FullContact for Mac app to launch upon startup. 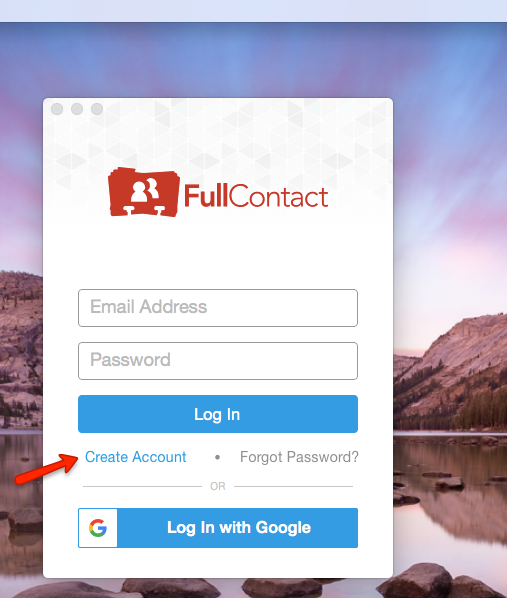 Install the FullContact for Gmail extension (if applicable). 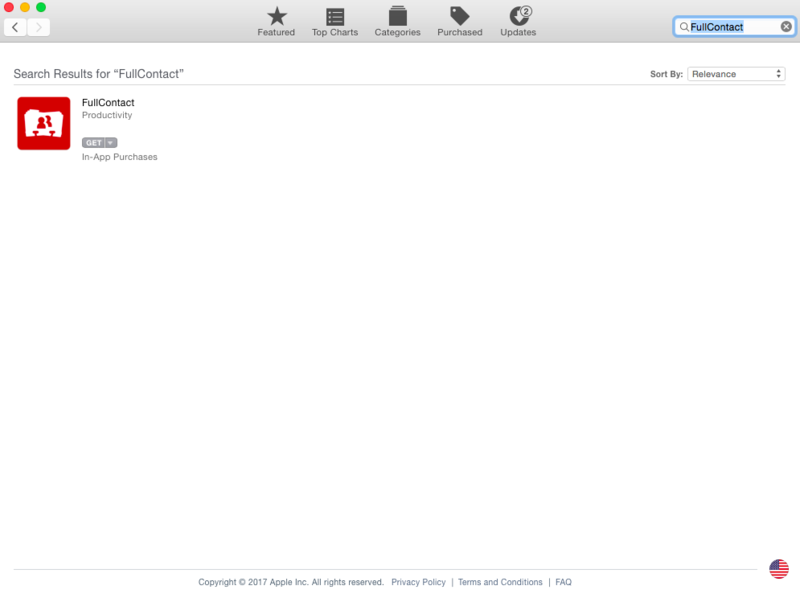 Install the FullContact for iOS app and / or the FullContact for Android app (if applicable). Click File (menu dashboard) -> Preferences -> Address Books -> add, remove, or adjust sync settings. 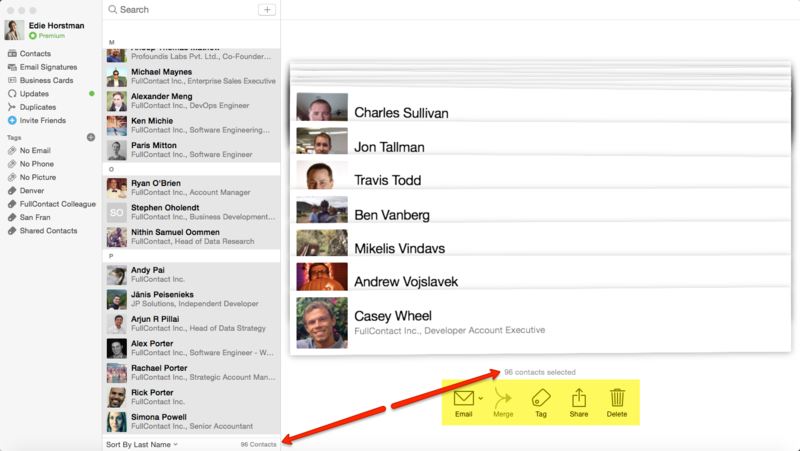 Click Template -> drag and drop the order of contact fields (click on a field and drag it up or down to re-order). Click General -> adjust launch at startup (you can also right-click on the FullConact icon in your dock -> click Options -> adjust launch at startup). 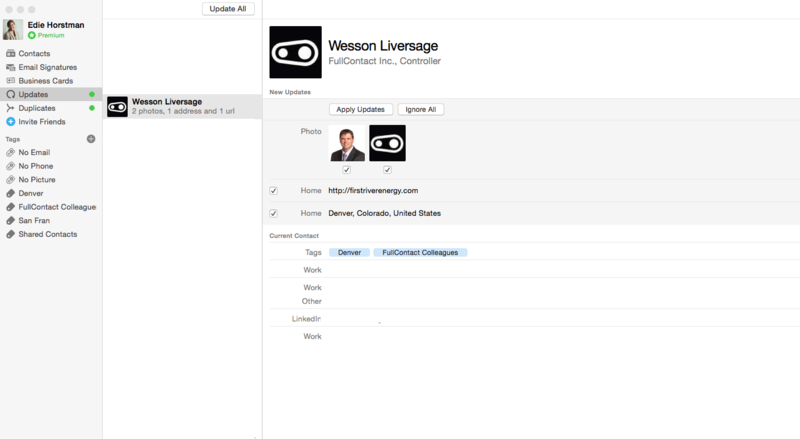 To note: While you can import in the FullContact for Mac app (File -> Import Contacts), importing in the FullContact for Web app is also a seamless process. Now that you've finished the first seven steps as a new user, next we'll walk you through best practice guidelines for more effectively managing your contacts. This is the easiest way to select contacts, add contact details, add tags, etc. Here's a direct link to the article. Additionally, if you want a quick way to spotlight search for the Mac app (when you're not using it), click Command + Spacebar on your Mac, then type 'FullContact' in the search bar. 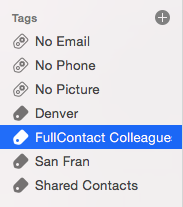 From your Mac's menu dashboard, familiarize yourself with actions in FullContact, File, Edit, Window, and Help. Apply updates where you see fit—you can apply all updates at once or apply updates one at a time. If you ignore an update, it will not be added to your contact. 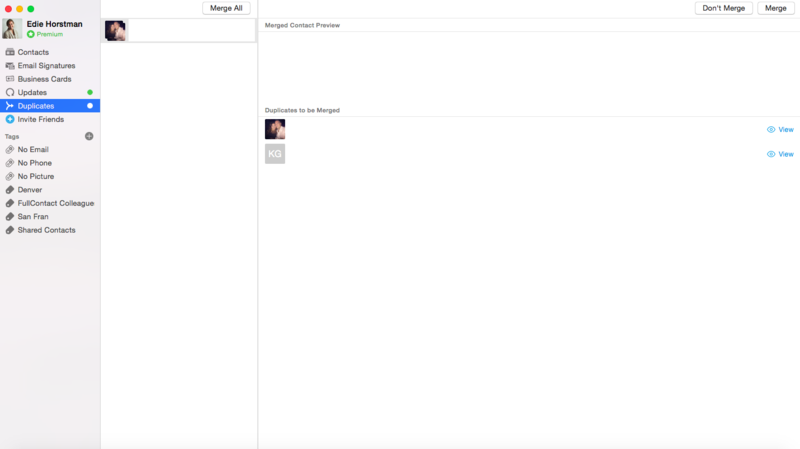 Apply duplicates where you see fit—you can merge all duplicates at once or merge your contacts one at a time. 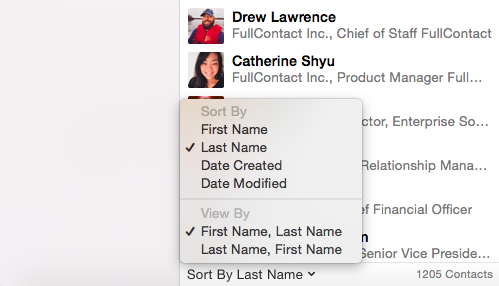 When merging your contacts, all information is included in the final version of the contact. 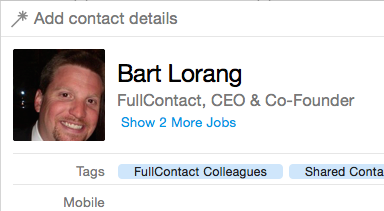 You can edit your merged contacts later. 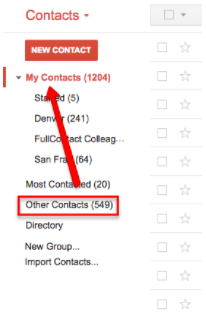 Use the Sort By button at the bottom of your contact list(s). You can create new tags and view your tags in the left-hand side dashboard. 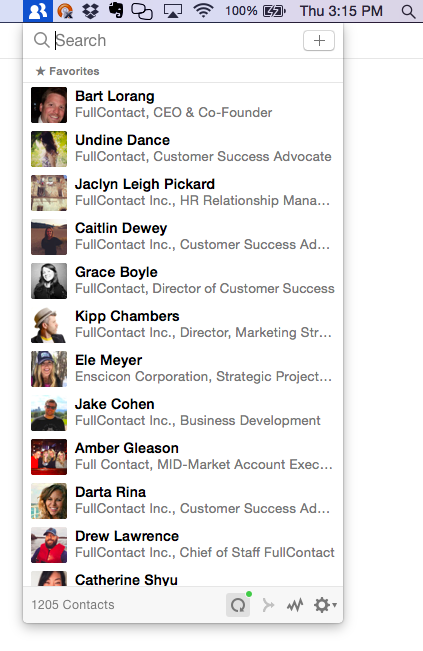 Tags are a great way to categorize and organize your contacts. Some examples might be location based (e.g. Denver Contacts) or group based (e.g. College). 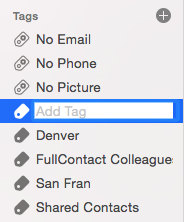 When adding new tags consider how you organize and categorize your network today. 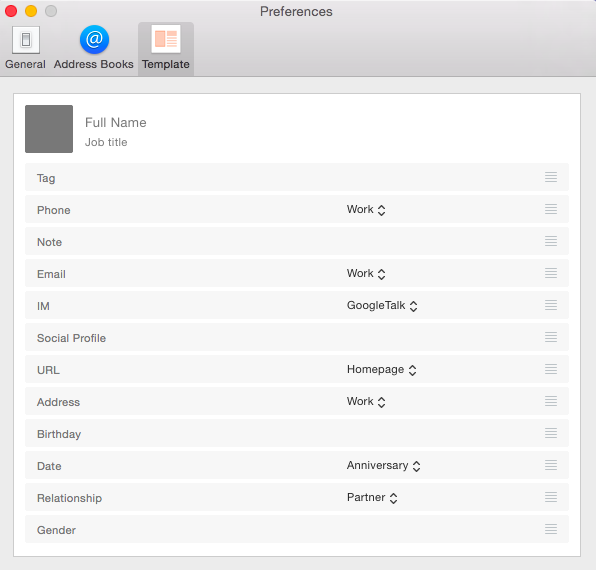 Your tags sync bi-directionally as Groups in Google and Groups in iCloud. Private Tags are exclusive to your private FullContact address book and the ones that you have added yourself; Smart Tags are default tags from FullContact that are added to your account. When adding a tag to a contact, simply type into the Tag field and click the [+] icon (or simply click Enter on your keyboard). When deleting a tag on a contact, simply click on the tag you want to remove, then click the Delete key on your keyboard. Use the top portion of a contact's details to quickly add a note, phone number, URL, etc. to a contact. To do so, simply start typing into the search area (at the top of the contact), then you can choose with field / category the information should be added to. Once you're done, either click the Enter key on your keyboard or click Add in the upper right-hand corner. Are you a power user yet? Almost! In the final portion of this Getting Started guide, we'll show you a few of our favorite tips and tricks. Do you have contacts you talk to often? Favorite your contacts through the ‘star’ icon in the upper right-hand corner of the contact's details. You can find your Favorites at the top of your contact list. If you want to re-order them, simply click on a contact, then drag and drop it. Sometimes we may not pick up on all duplicates. We allow you to manually take care of merges if need be and this allows you to fully master your contacts with the context only you, might have. To manually merge contacts that listed in a row, click on the first contact, hold down the Shift key, then arrow down (or up). 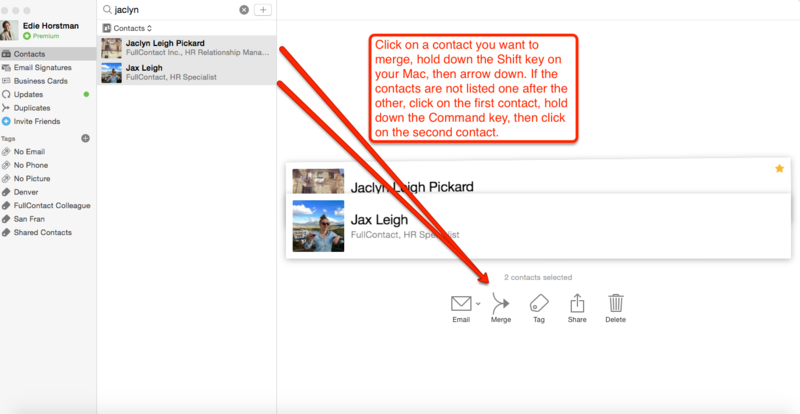 To manually merge contacts that are not listed in a row, click on the first contact, hold down the Command key, then click on the second contact. Whether you're changing 2, 10, or 100s of contacts at a time, bulk actions are an easy way to make changes. For example, to send an email to every contact in a tag, click on the tag on the left-hand side dashboard -> click on the first contact in the list -> hold down the Shift key -> click on the last contact in the list. Interested in taking advantage of our referral program? Invite your friends! You'll notice the FullContct icon in your menu dashboard; feel free to use this instead of the dock version of the app. Thanks for joining FullContact! By the end of this guide, you should be able to leverage your FullContact address book to improve your contact management challenges.